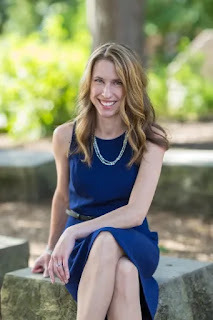 Jessica Strawser is the author of the new novel Forget You Know Me. 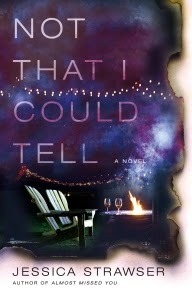 She also has written the novels Almost Missed You and Not That I Could Tell, and her work has appeared in a variety of publications, including The New York Times and Publishers Weekly. She is editor-at-large at Writer's Digest, and she lives in Cincinnati. Q: How did you come up with the idea for Forget You Know Me? A: I had the idea for the opening sequence, where a video chat between friends captures an intruder, and the friend who witnessed it does everything she can to warn the person on the other end—only to be gaslighted in a way that tells her something is incredibly wrong. I don’t usually get novel ideas linearly, with a scene coming to me before I even know who the characters are, but this one just wouldn’t leave me alone. Thus, I started wondering about the women who became Liza and Molly. Q: The novel deals with friendship of various kinds. Why did you focus on that theme in the novel, and what do you hope readers take away from the story? A: I’ve always written about friendship—probably because I’m drawn to write about characters in terms of their relationships, and friendships can be both influential and malleable. 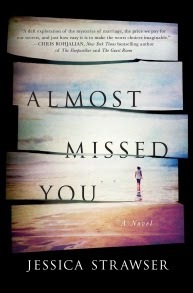 In Almost Missed You, a mutual best friend is the third narrator piecing together the story of what has driven apart the couple at the center of the novel. In Not That I Could Tell, a group of neighbors turned friends are rocked when one of them disappears. 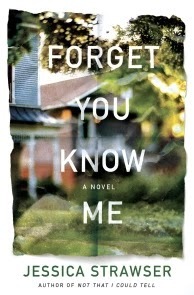 In Forget You Know Me, the friendship has been growing apart, as has the marriage that shares the spotlight in the story. I wanted to explore the things that can drive distance between us, and whether (and how) we can reverse that. Q: Did you plot out this novel before you started writing it? A: No. I try to have the best idea I can of where I’m going in terms of character arcs and themes, but outlines just aren’t intuitive for me. A: A novel about half-sisters. I can’t say much about it yet, but I’m deep in this one, and with any luck it will hit shelves in 2020.